Ah, New York – the city so nice…every event planner wants a taste! Think NYC is too competitive to start your event business in? It may be a challenge to stand out as an event planner, but there’s more than one way to ease your brand into the mix. The key is hard work, marketing, and building up a network with clients and other planners. Finding your ideal location is the first step, so sit back and let us take you through the flourishing neighborhoods of New York! Target the right clientele and you’ll be growing your event planning business in no time. Good old Manhattan – the place where dreams come true! This borough of New York City is the most well-known, famous for its towering office buildings and affluent neighborhoods. 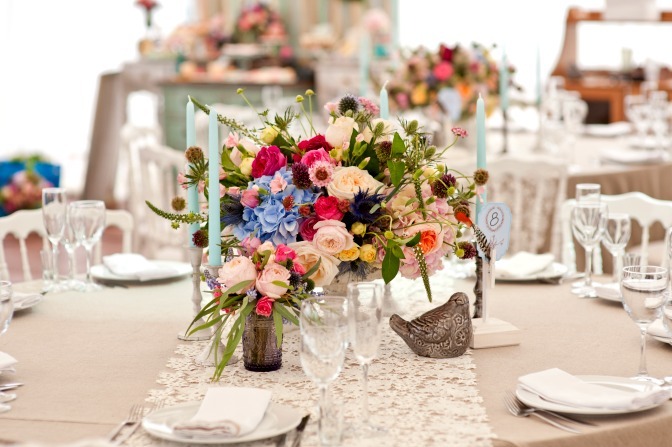 If your dream is to become an event planner in Manhattan, you’ll need to work your way up! There are tons of opportunities for event planners in Manhattan, mainly because there are so many people! There are thousands of corporations and businesses that would hire a corporate planner for social events, and tons of city-wide events that happen throughout the year. The best way to get in? Build up your credibility in your current area, and then start to make the shift. If you can somehow get an internship or assistant position with an event planning firm in Manhattan, please take diligent notes! It will take hard work, long nights, and a burning passion,but you have the potential to get your name out there as a brilliant event planner. Midtown is where you’ll find the classic New York vibe. From Broadway to Rockefeller Center, there’s plenty of potential to land a gig planning some kind of corporate or high-end event. And yes, we know – it will be competitive (to say the least)! You’ll need to network as much as possible and try to gain experience within an established planning firm. Want to specialize in luxury weddings and events? Start small to get a glimpse into the industry and feel out your vendors. Once you successfully pull off a few luxury events, add them to your portfolio and start seeking out high-end clients! There’s no shortage of them in Tribeca, with all the famous names who live around here. Once again, this is going to be a competitive area to find clients in, but dedicating a few years to building your credibility up will help give you an in! We told you Manhattan was the place for luxury event planning, and the Upper East Side is its core! This affluent neighborhood the place to be for a certified luxury planner. You’ll likely be hired for private parties, social dinners, and any other fancy events you can think of! Without a doubt, you’ll need to build your brand to fit into the Upper East Side aesthetic. Professionalism and high-end looks are the name of the game in this neighborhood! If you’re looking to journey across the bridge into Brooklyn, make your way into the neighborhood of Bushwick. An offbeat area for creative professionals, Bushwick is full of galleries and venues for your choosing. With the sheer amount of dining options, it’s a great place to situate your event business! Planning parties and social gatherings in Bushwick will be a breeze – there are so many up-and-coming restaurants and bars to connect with. Whether you’re hired to plan an engagement party or a corporate soiree, you’ll have endless venues to choose from. Dreaming of planning picturesque weddings in a hidden oasis? Look no further than Queens Botanical Garden! One of Flushing’s big attractions, the botanical garden hosts gorgeous weddings for the bride who loves nature. And don’t forget to check out the rest of Flushing Meadows Corona Park – a famous site that held the world’s fairs! 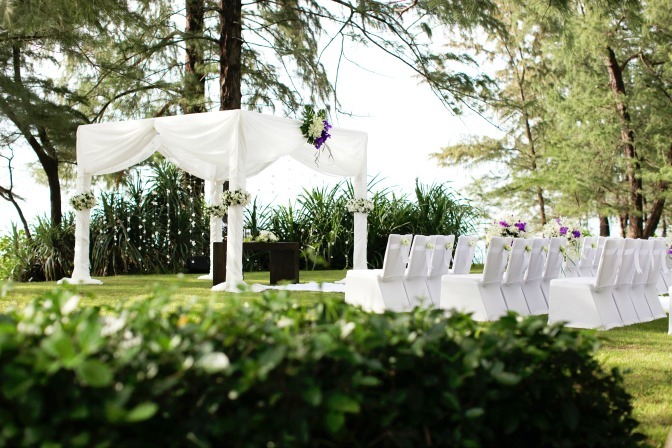 This park is an ideal location for hosting an outdoor wedding. It’s filled with history and connects to the Queens Museum as well as the gardens! The perfect spot for a wedding planner to set their sights on. There is an endless number of professional event planners based in New York City, so we’ve narrowed it down to the top four. Keep an eye on these planners to get inspired by their unique designs! From product launches, to corporate events, to stunning weddings, Ron Wendt’s designs have a massive impact on the event planning industry. 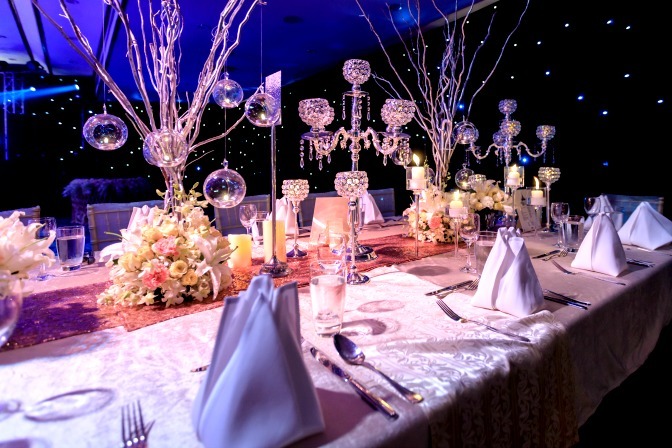 His creative style and flawless event execution will give you inspiration for days on end! Be sure to keep an eye on his latest event designs. Founder Marcy Blum takes pride in her “ability to find a signature style for her clients”, making her the ultimate event planner to learn from. Marcy’s firm has planned weddings at some of New York City’s most coveted venues, including the Plaza Hotel! Not only this, but they’ve been featured in tons of big-name magazines. Take a look at the website to get a glimpse of her work! This team of event planners is one of the most sought-after in NYC! Thanks to founder Liron David, they have tons of high-end clients lined up to experience their amazing events. Plus, they offer more services than most – including multiple caterings and entertainment options to choose from! Calling all luxury wedding planners! You should definitely be keeping tabs on this profound planner – she’s a role model for every aspiring luxury planner. NYC weddings? Check. Corporate events? Check. Luxury events? Check. There’s much more that JoAnn Gregoli has to offer – check out her photo gallery and see what she can do! A New York City-based event planner has the potential to reach thousands of clients, meaning their salary can constantly be fluctuating. This is why learning the ropes from an established planning firm is a good idea when you’re starting out in such a big city! Still, the pricing for an experienced event planner is competitive. On average, you can make around $46,000 USD per year. If you have the chance to work for a successful corporation, your salary can increase to over $100k! That does mean, however, that your event designs have to be the very best. Inspired to start an event planning career? Find out which event course you’ll thrive in!